Arrested for DUI in Fullerton? 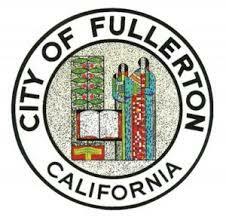 If you have been arrested for driving under the influence (DUI) in Fullerton, you need to act quickly. From the moment of your arrest, the clock is ticking – you have only 10 calendar days to find an attorney, and have them schedule a hearing in your defense. Failure to do so within the 10 days will result in automatic suspension of your license, and could leave you vulnerable to further action, such as jail time and stiff penalties. In order to prepare the best defense on your behalf, your attorney needs as much time as possible to schedule the hearing, gather evidence, and build a strong case in your defense. Because many people think a DUI arrest will never happen to them, they put off finding a good Fullerton DUI attorney until they are actually arrested. However, this can be a costly decision, as the process of finding a skilled attorney could take up valuable time. Even if you are a careful and considerate driver, and take measures never to drive while under the influence, you can still be pulled over and arrested on suspicion of DUI. Being informed now, and knowing who to turn to if the unthinkable happens, can mean the difference between defending yourself successfully and spending years living with the consequences of a DUI conviction. Time is of the essence. If you are arrested for DUI, the arresting officer will take your license from you, and issue you a temporary license that is valid for 30 days. HOWEVER, you only have 10 days to file for a hearing to stop the automatic suspension of your license at the end of that 30 days. If this hearing is not scheduled, the administrative panel reviewing your case will automatically suspend your license, and send your case to the courts for further action. The hearing is NOT your trial. The hearing gives your attorney the opportunity to mount a first defense for you. Your attorney will have the chance to interview the arresting officer and any witnesses, as well as present witnesses on your behalf. He will also have the chance to review the evidence being presented against you, and introduce crucial evidence for your defense. If he is able to successfully persuade the panel to drop the case, your permanent license will be referred to you. If the panel still has questions, they can have you case sent to the courts for a trial. Whichever outcome occurs, this hearing is absolutely critical: failure to schedule this hearing will automatically result in the suspension of your license, and further court proceedings. Medicine, Health Conditions – Even the Weather – Can Affect the Breath Test No two people are alike. Certain medications or health conditions can cause false-positives on the breath test. If you are on any medications, or have any physical conditions that might have affected your test, inform your DUI attorney immediately. Your Fullerton DUI attorney is well versed in these requirements, as well as in the shortcomings of the Breathalyzer test. Because of the fallibility of this method of testing your BAC, a skilled attorney can often have this evidence thrown out, making it even harder for an arresting officer to prove that you truly were under the influence. Being charged with DUI is a serious matter, and is often a scary and intimidating time for those involved. Being informed beforehand, and having the assistance of an excellent DUI attorney who has in-depth knowledge of Fullerton and Orange County DUI laws is crucial in preparing an effective defense. If you know your rights, and how to respond in the event the unthinkable happens, you stand a much better chance of saving your license, and reducing the effect the arrest has on your life. Fullerton Police Department has Digital Audio Recordings (DAR), Jail Videos, and Body Worn Cameras (BWC).